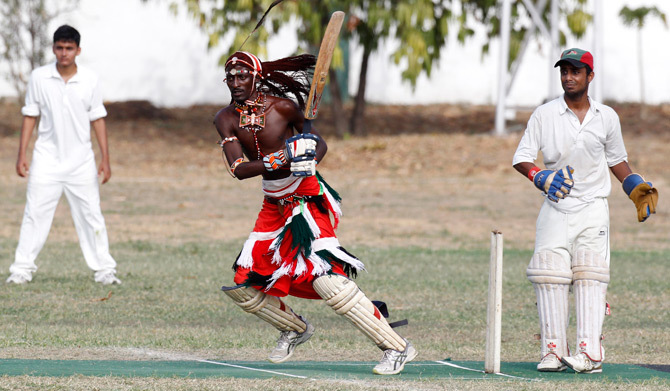 With their latest venture having been geared towards advocacy against poaching, the now acclaimed Maasai warriors took to the field to do what they know best; cricket. Not so long ago, the unusual Maasai cricket morans (unusual because unlike any normal cricket team, the morans play the sport in their colourful garb instead of the traditional cricket whites) faced the Ambassadors of Cricket; an Indian cricket team, in a T20 cricket match at the Ol Pejeta Conservancy. The event’s main goal was creation of awareness against poaching of elephants and rhinos in Kenya; an issue that has increasingly exacerbated overtime. Ol Pejeta was selected as the initiative’s venue for the simple reason of being home to some of the endangered species i.e black and northern white rhinos. The Maasai Cricket Warriors have awed many in their years of existence (believe it or not they have a decade under their belt as a team) not only for the sassiness they bring in the game of cricket (their sport attire is colourful; made up of colourful shukas, beads and sandals made from tyres alias akalas) but also for the main reason behind their playing this gentleman’s game. 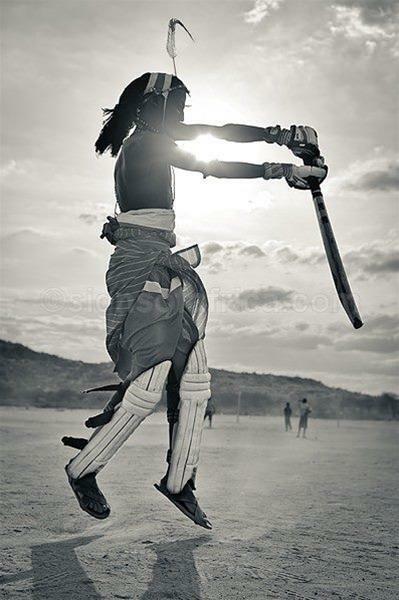 Its a peculiar sight coming across a Maasai whom instead of a spear holds a cricket bat. However, this peculiarity has a noble drive behind it; the warriors main mission through this is to empower youth by targeting social problems in order to bring about positive change in their Maasai communities. 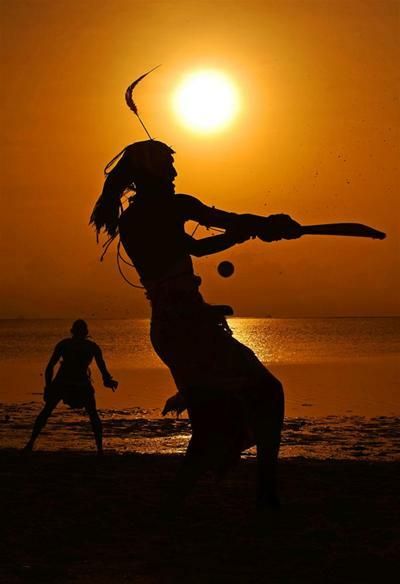 The Maasai warriors cricket team, to quote an old Pepsi tag line, has nothing official about it – and that’s where the beauty lies! The team consists of 11 men (plus another 14 reserves) – each one striving to be a role model in their community. Their campaigns are targeted against traditional female circumcision (FGM), child marriages, and HIV/AIDS among tribal youth. The Maasai community is male-dominated and the women have very few rights – even to their own bodies. The Maasai women also grapple with Female Genital Mutilation (FGM) where girls as young as 6 are circumcised facing pain, psychological trauma, considerable health problems as well as high-risk of infection since materials used are not entirely sanitary (the girls are circumcised with materials that have been used over and over). HIV is also rife here and the victims face a lot of stigmatization. Another major challenge is child marriages where in some cases children are married off in return for livestock or alcohol. The cricket warriors feel that education and change is the only way to secure the health of the community, provide equality to their society, and as a result protect their future. It is a tough challenge to accomplish what they are going for seeing as the Maasai elders fear changing their traditions will herald the end of the Maasai. However, with great drive and determination, they continue to make a difference – one step a time. The warriors are also spending their time trying to stop cattle rustling a practice that has now degenerated into a militarized activity among the Pokot, Turkana, Maasai and Samburu communities. Today’s incidents of cattle rustling are driven by hatred, political instigations, unscrupulous commercial activities, general crime, and availability of firearms. The warriors plan to curb this through proactive engagement of the youth from the pastoral communities in this region and also with cross-district involvement in sports, such as cricket while at the same time reawakening and revitalizing the traditional mechanisms of peace building among the different communities. The community elders will also be facilitated and enabled to carry out traditional peace building and conflict transformation strategies. 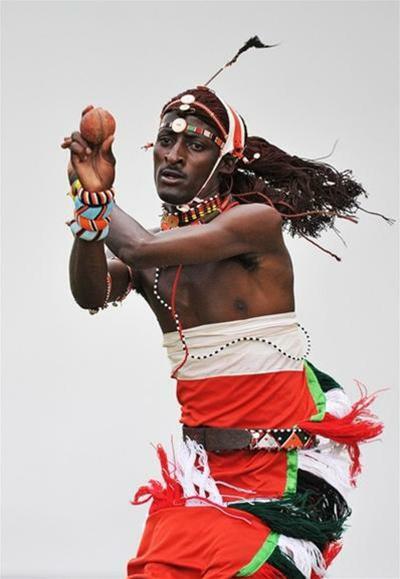 The Maasai cricket warriors have come a long way and are not planning to call it quits anytime soon. They dream of reaching England and playing in the Last Man Stands World Championships – a pilgrimage of sorts to the ‘home of cricket’ – not only because they genuinely love the game, but also because they believe it will give them a status to positively influence the future of their village.